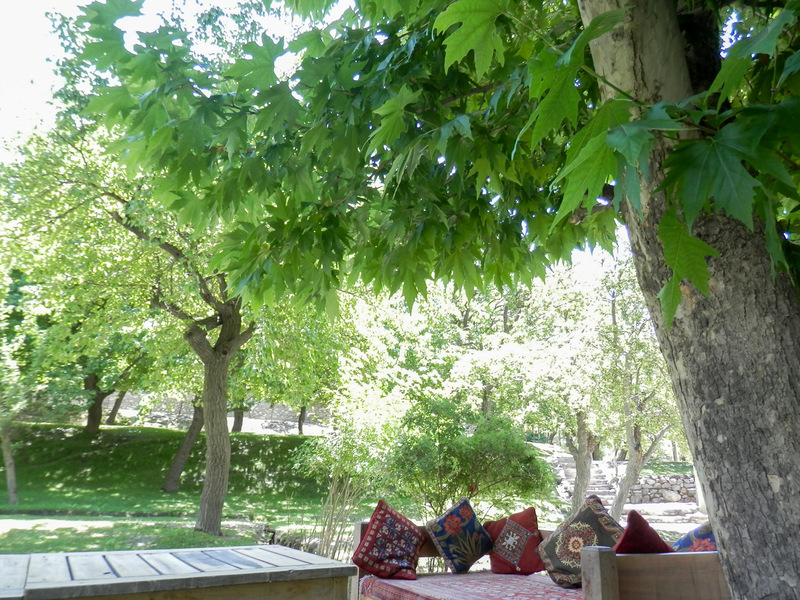 Beautiful garden in Pissian, Hunza. Bridge on Indus river. 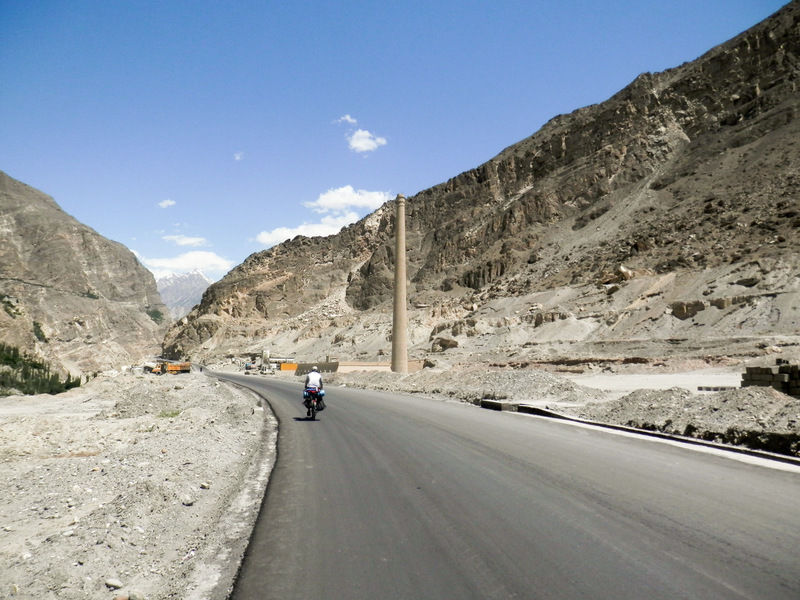 Enter Hunza valley from Nagar after crossing this. 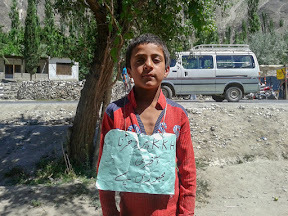 Locals blocked KKH for protest against water shortage near Murtazabad. We stopped in Murtazabad and finally found locals to talk with. 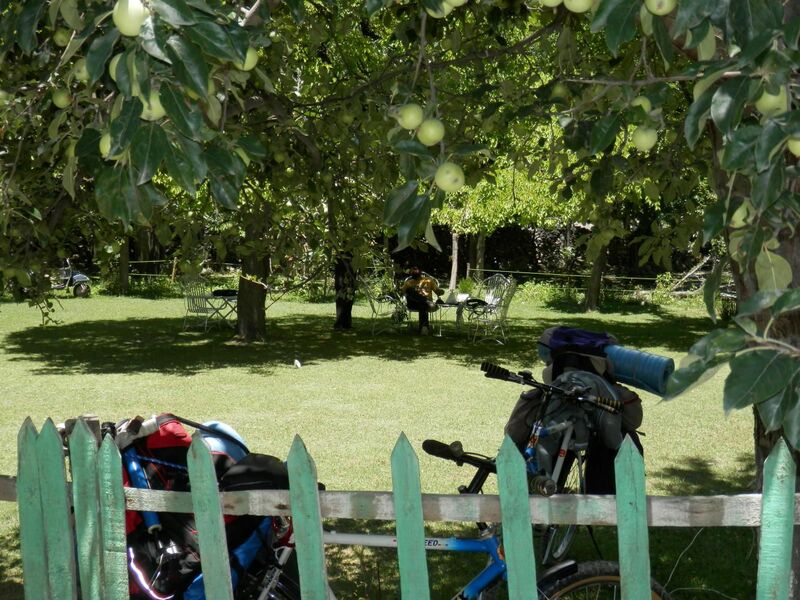 Those kids offered us cherries while they were packing. "These cherries will be exported to Punjab" Faiz Ahmed mentioned. He also told us about his village and culture of Hunza. 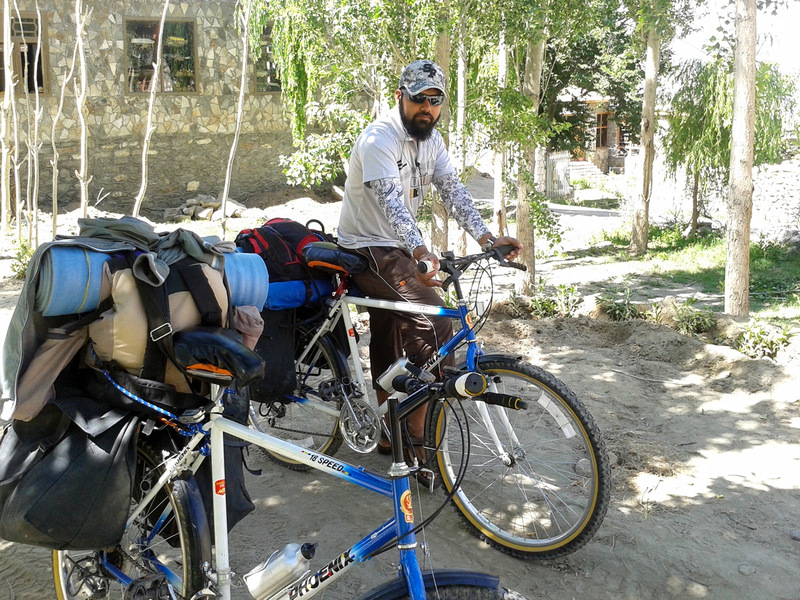 We had a good time with them and left for Aliabad. We were at Aliabad bridge when the sun got so warm and stopped in search of shadow and avoid the virulent heat of the sun. 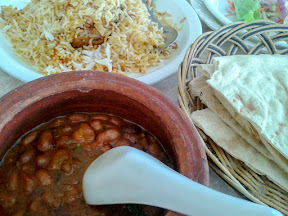 After offering our Friday prayers in the nearby mosque we came out in search of food, unfortunately, we could only find juice and biscuits. 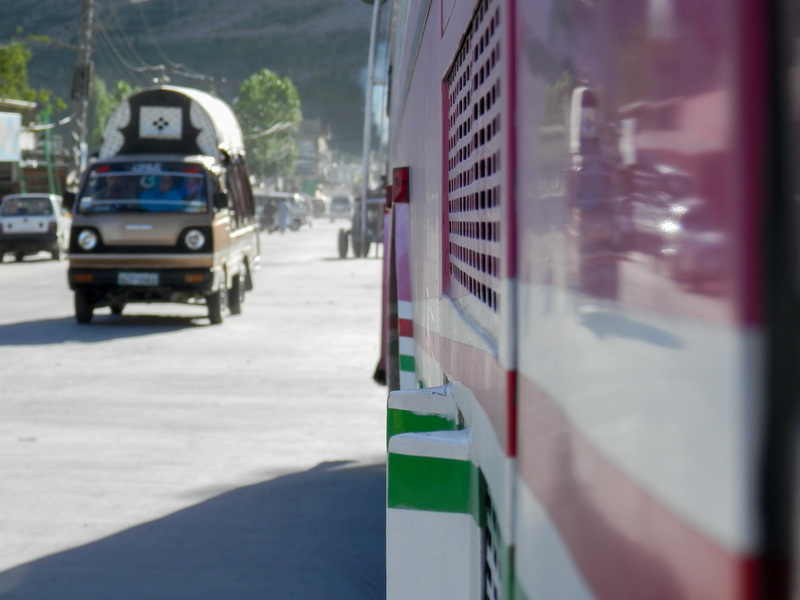 We left for Aliabad at 3PM. 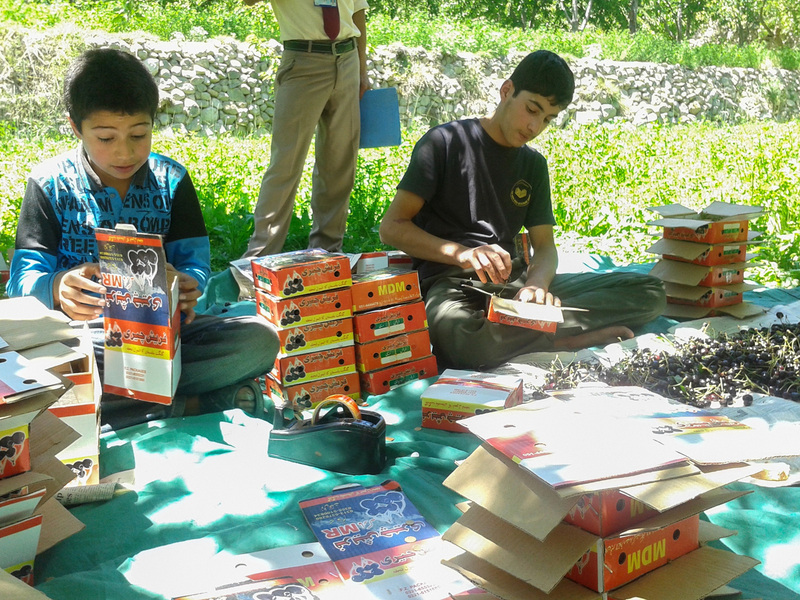 Faiz Ahmed (L) with his friends packing cherries in Murtazabad. 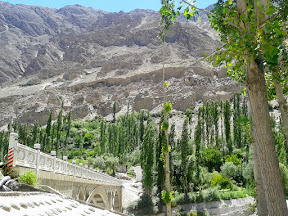 Aliabad bridge, just before Alibad town. Aliabad seems a city after crossing so many villages or rather a remote distant mountain town. It has a unique character of people as all were busy and preoccupied in their work. There's no time to bother other people business. We took our lunch after which we hired a van to take us to “Duikher Village”. 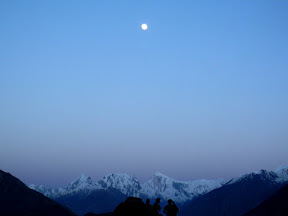 Tourists are especially guided to go to Eagle's Nest and witness the dramatic views of sunset and sunrise. Stopped at Aliabaad for Lunch. 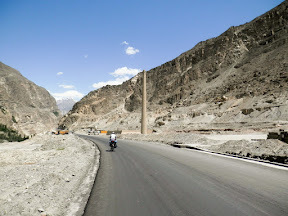 The road traversing to the top of the mountain is etched with continuous and/or circuitous ascent of rugged mountain terrain. 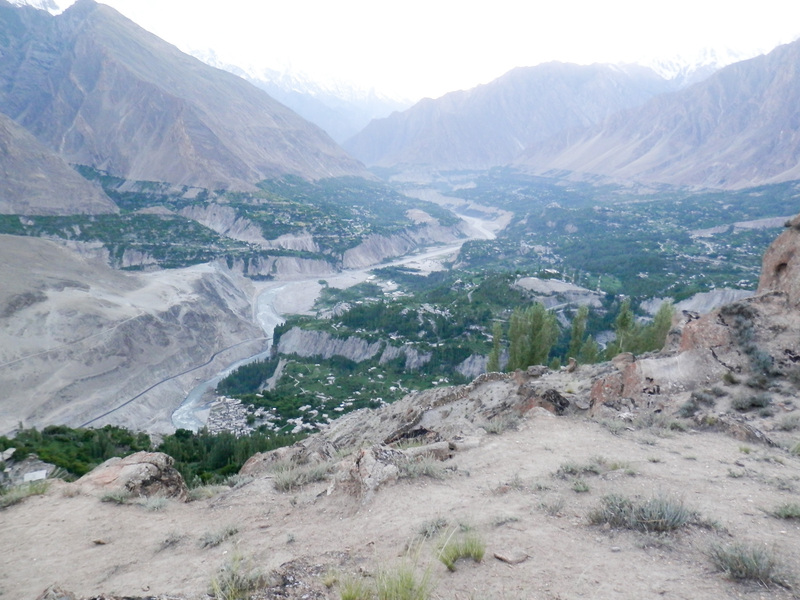 Amazing and perplexing landscapes were waiting for us at Duikher as we reached there at 5 PM. We sat on a rock and saw an amazing view of the sunset. 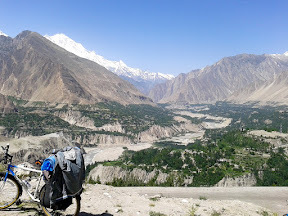 From here we see the panoramic views of the entire Hunza valley, distinctly beautiful Altit & Ganish villages, Altit Fort and the amazing Karakoram Highway. All the famous peaks e.g. 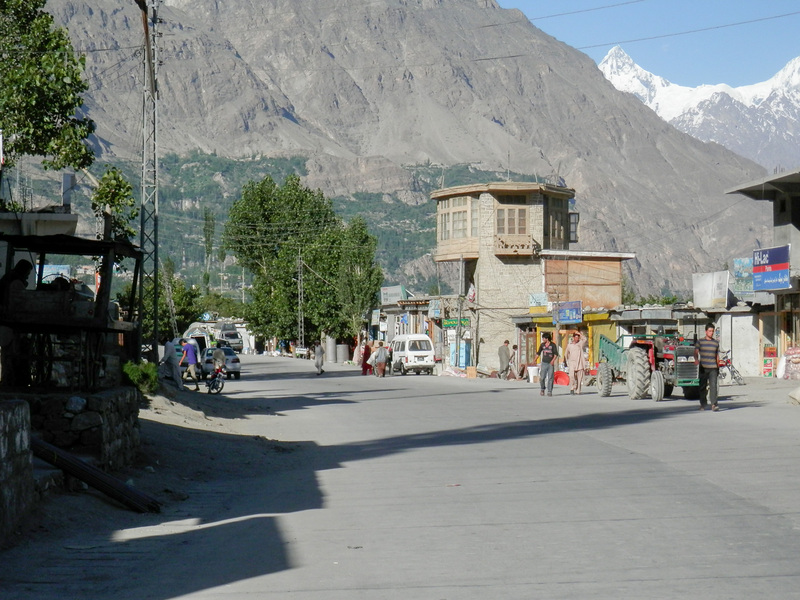 “Ultar Sar”, “Lady Finger”, “Golden Peak”, “Rakaposhi” and others are visible from Duikher. 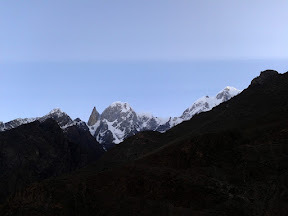 We were glued to the top of Duiker and sat there until it was dark. 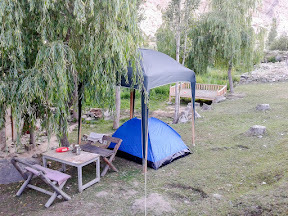 Finally, we set up our camp for the night and had an ample rest. 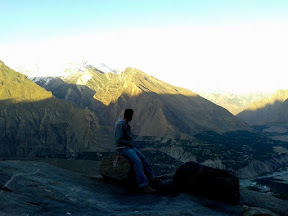 View of entire Hunza valley can be seen from Duikher. We were informed that sunrise from Duiker is also an extraordinary joy to watch so we woke up early to witness the sunrise on and above the beautiful peaks. Sunrise at Duikher is also special. It was a splendid morning in Hunza. 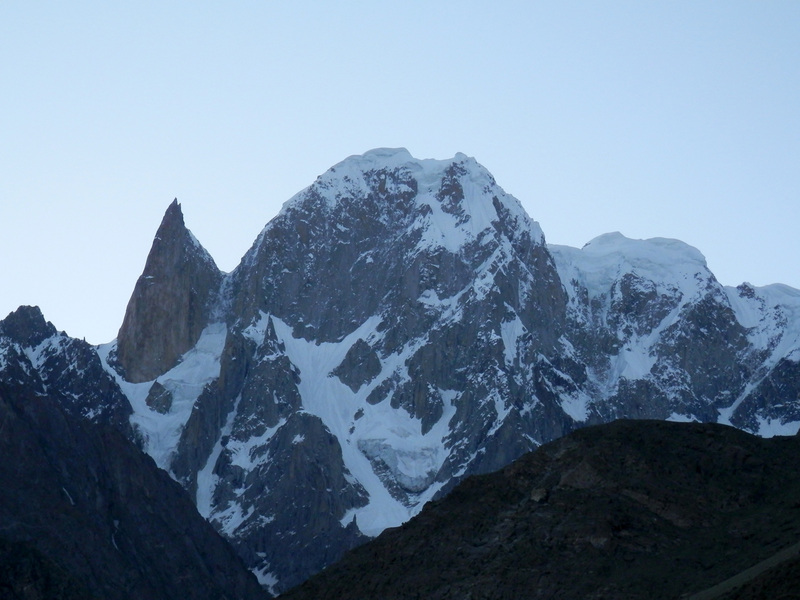 We woke up early in the morning to see the beautiful sunrise over the peaks. It’s the month of June and the cold breeze of the morning is physically penetrating. 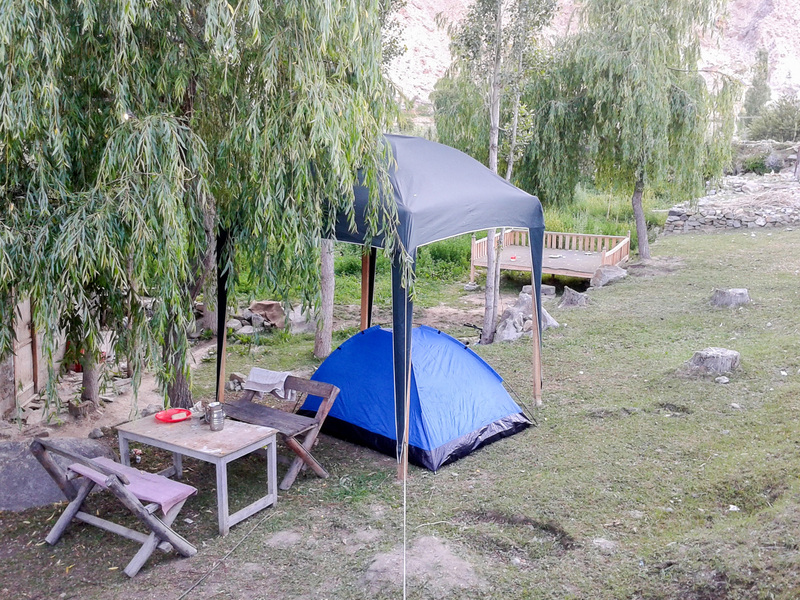 We have to return back to our camp and took another 2-3 hours sleep. 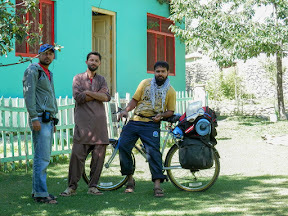 We departed from Duikher at 9:40 AM after having a breakfast within the outdoor sunshine facade. We have to descend from Duikher until we reconnect to Karakoram Highway. 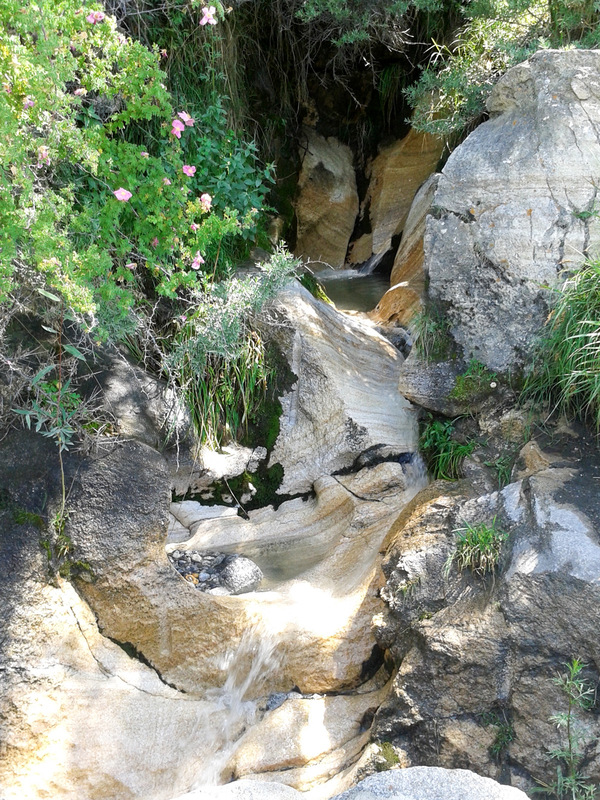 During our stopovers, fresh water canals were common along the road. 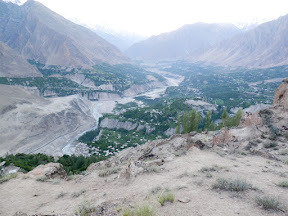 But, the water from Ultar Sar Glacier appeared not potable for drinking as it looks “gold like” our first ever encounter of this kind of water. 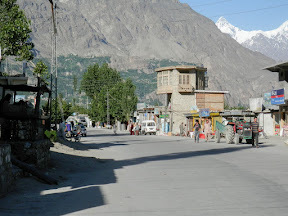 We then reached Karimabad, a tourist town whose main streets/avenues were adorn with gift shops, guesthouses, hotels and cafeterias. We enjoyed the spectacular view of the structures built alongside elevated valley walls. 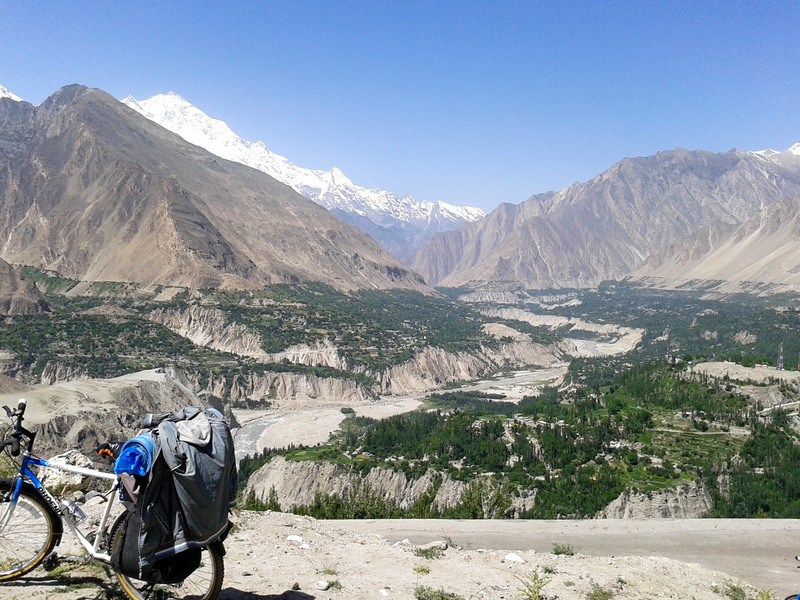 View of Hunza valley while descending from Duiker. After being surprised about the Ultar-Sar’s water, we kept moving down. Along the way, amazing views of Hunza Valley is revealed. 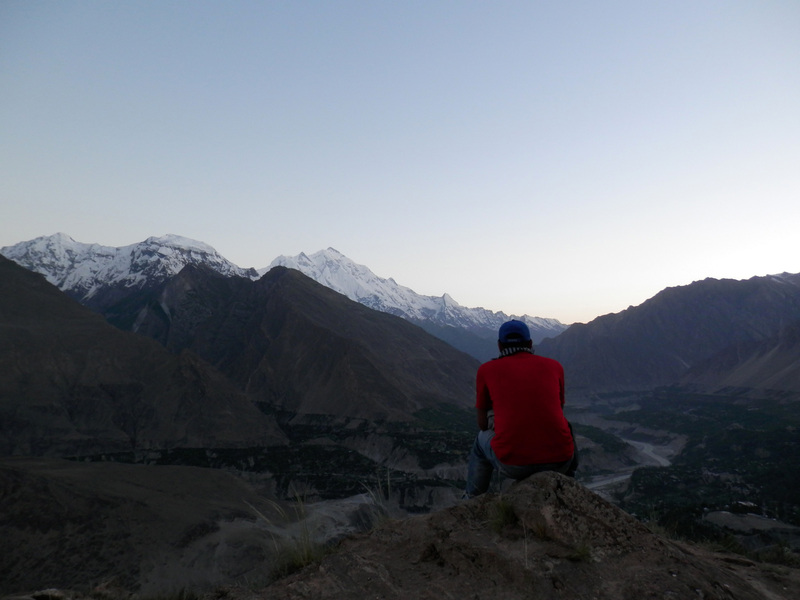 We stopped at several points and enjoyed astonishing views. 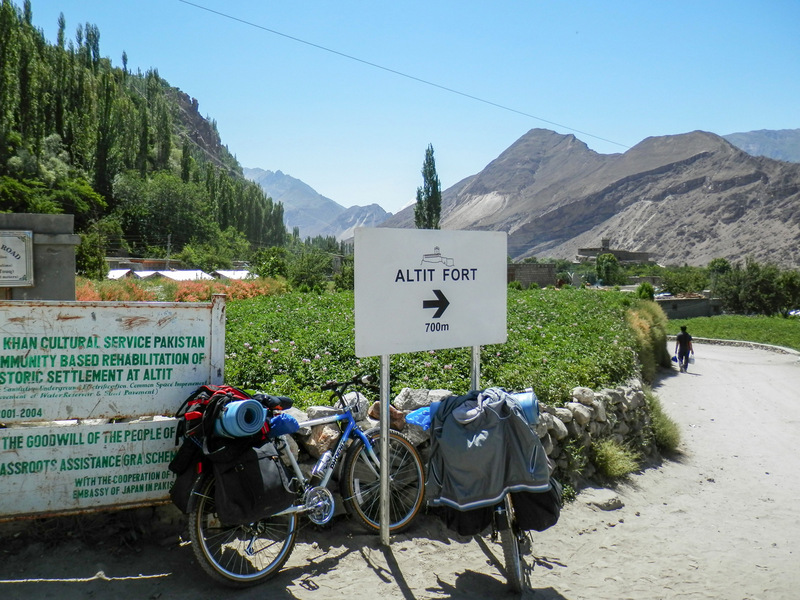 We plan to head towards “Altit Fort”. The word Altit means “this side down” being a Tibetan word. 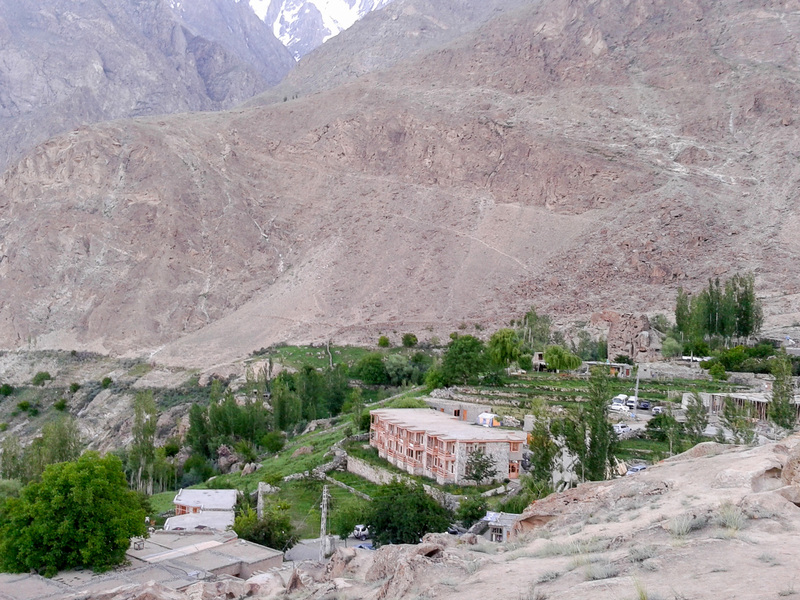 Altit Fort is situated in the village of Altit, about 3 km. 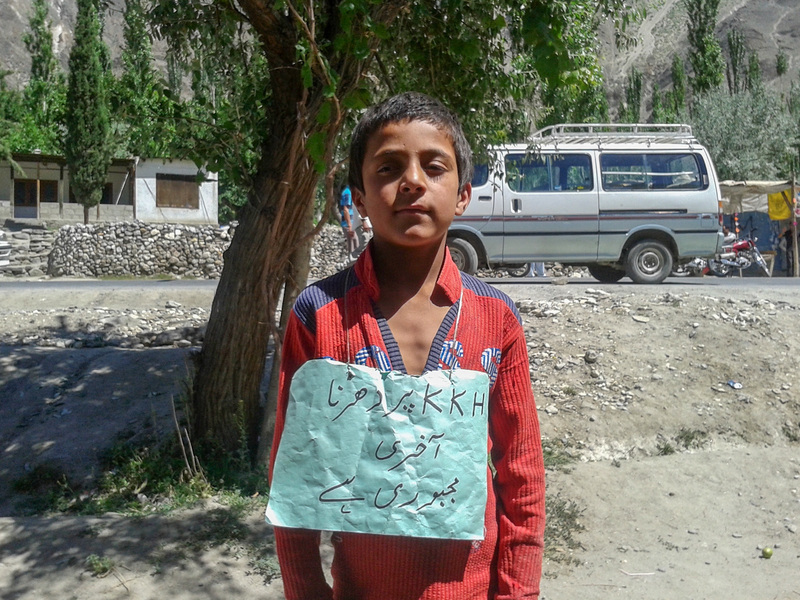 from Karimabad. 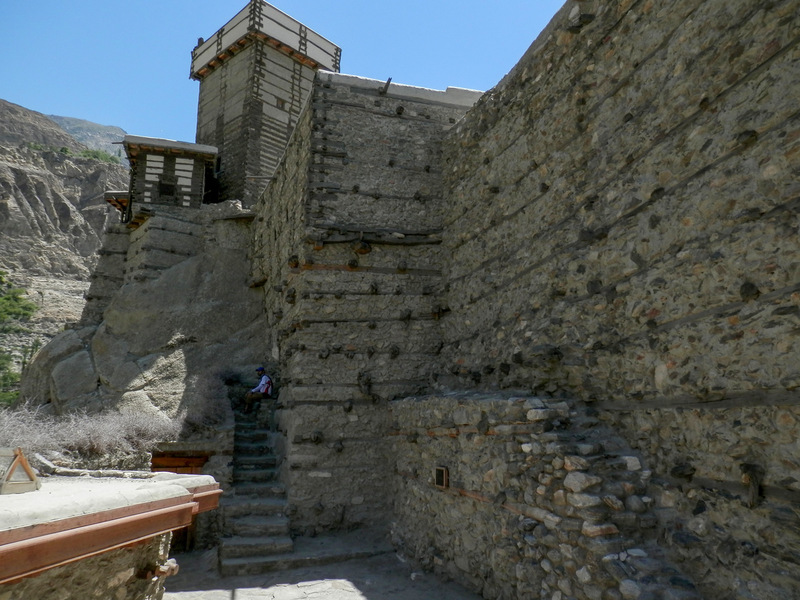 Altit Fort and in particular the Shikari Tower is around 900 years old being the oldest structural monument in the Gilgit-Baltistan. 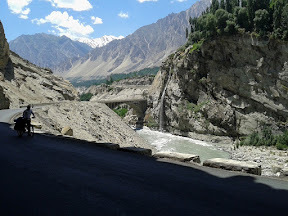 It has been built on a sheer rock cliff that falls 300 meters (1000 feet) into the Hunza River and is much older than the Baltit Fort. 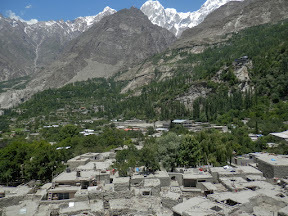 Altit is the birthplace of the Hunza Kingdom and the Altit Fort is the first fort of the region. 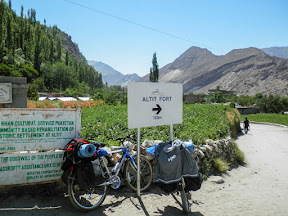 We decided to reach Attabad with the option to cross Attabad Lake but have to be quick. 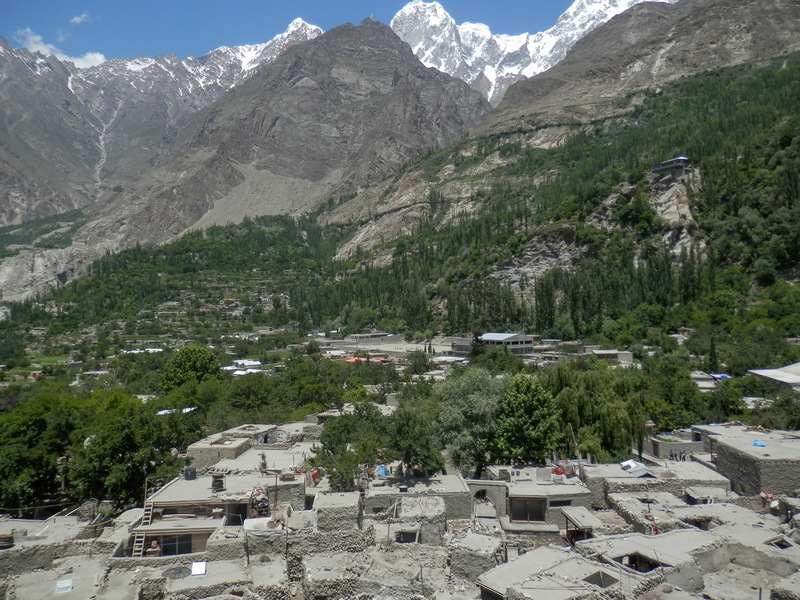 When we entered Altit Fort, we saw Hunza women working with woods being carpenters. Later, we came to know that these women handled all the woodcraft of the fort and are proud of it. 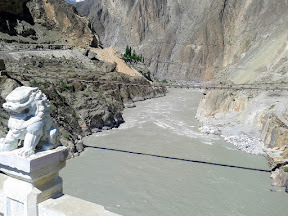 We crossed the famous bridge of Ganish at 1:00 PM. The waterfall of Ganish can be seen from the Bridge. 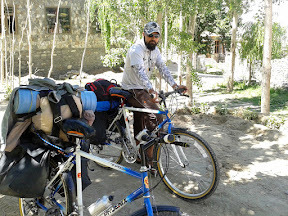 As we crossed the bridge Ifzaal's bicycle tire got punctured and deflated. It took us a while to get back on wheels. We stopped at Frontier Works Organization (F.W.O.) camp for dinner and took some rest. We were greatly welcomed at the camp. With still 10 km. 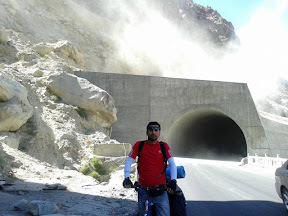 remaining to reach Attabad, we then proceeded our bicycle trek and we arrived at Attabad at 9:30 PM and stayed for the night with the FWO contractor. 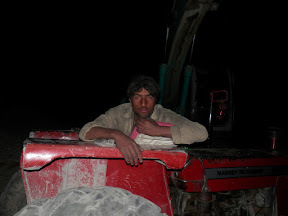 The sleepy tractor guy who guided us for our stopover. The bike ride on Karakorum Highway at night was unintentional. But, we enjoy every bit of it. 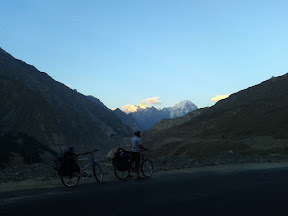 We were forced had to ride at night to reach Attabad which turned out to be a unique experience for us.